In March 2012 H&L were appointed to provide business consultancy and funding services for the Shire Hall Project, Dorchester. Over the course of the next 6 months aided by project partners, consultants and WDDC staff a round 1 bid to HLF was developed. In March 2013 the HLF southwest regional committee awarded the project a pass. 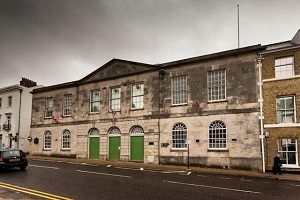 Shire Hall, which includes the Old Crown Court and Cells, is famous for the trial of the Tolpuddle Martyrs in 1834. Author Thomas Hardy also sat there as a magistrate. Time has appeared to stand still in the court, which appears today almost as it did in Georgian times. H&L were appointed as heritage consultant for the round two development stage of the project and worked closely with the wide range of stakeholders, staff, project partners and consultants in developing detailed proposals for a round 2 bid in Autumn 2014. The project secured a round 2 pass from HLF in June 2015 with a grant of £1.5m, with opening planned for 2018. The Grade I listed building will be transformed into a major visitor centre with high quality exhibitions and educational resources.